How does pollinator health change with stand age and management intensity in manged conifer forests? Managed conifer forests of the western US cover over 145 million acres of land, but we lack basic knowledge about pollinator populations in this abundant land use. In this study at Oregon State University, we are comparing bee communities, bee habitat, and pollination services in managed conifer forests in the Oregon coast range. Using trapping, netting, pollinator exclusion, and managed Osmia nests, we hope to better understand the extent to which managed forests provide habitat for insect visitors, as well as the impact that management decisions have on pollinators and pollination. How does wildfire burn severity and salvage logging influence wild bee communities in mixed-conifer forest? In this study, we investigated how natural and anthropogenic disturbances influence bee populations in managed forest landscapes. We used standard sampling methods to compare native bee abundance and diversity along a burn severity gradient in a recently burned mixed-conifer forest. 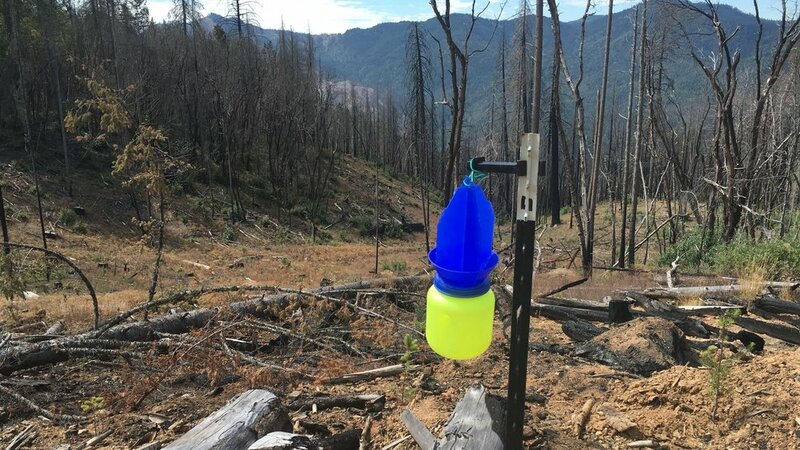 Additionally, we investigated the influence of salvage logging on the post-wildfire bee communities. We also quantified reproductive output and pollination services among treatment types. Galbraith, S.M., J.H. Cane, A. Moldenke, and J. W. Rivers. 2019. Salvage logging drives differences in late-season bee communities after wildfire. In prep for Forest Ecology and Management. How do Payments for Environmental Services affect wild and managed bee communities in Costa Rica? In this study, I worked on an interdisciplinary team to address the impact of conservation strategies on ecosystem services in Costa Rica. Specifically, we asked: 1) How do native bee populations differ among common human-dominated land uses in the Nicoya Peninsula? 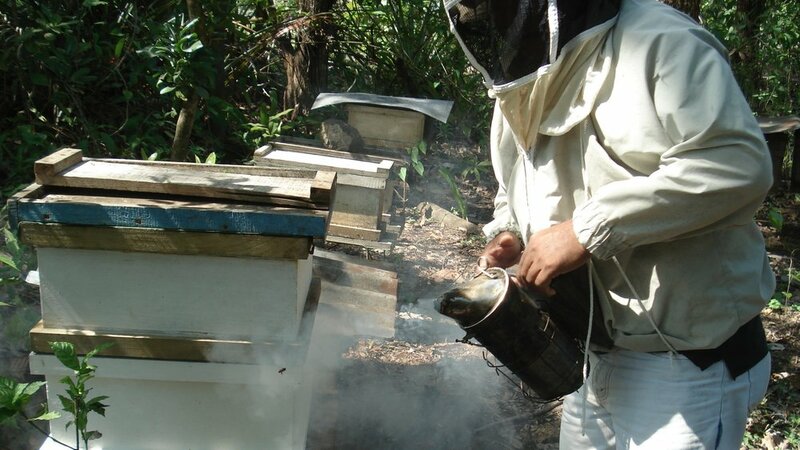 2) How has policy-driven land use change impacted beekeepers in the Nicoya Peninsula? and 3) What ecosystem service trade-offs exist for stakeholders? I used standard sampling methods to compare native bee abundance and diversity among silvopasture, coffee agroforestry, and teak plantations in the Peninsula. I also applied a mixed-methods approach to assess local ecological knowledge related to the impact of recent land use changes on beekeeping.